Eastman Outdoors delivers professional quality processing equipment that makes it easy to process wild game at home with affordable tools that yield expert results. When you Do-It-Yourself with products that are designed by scientists, professional chefs and avid hunters the results are quality, flavor and yield to your expectations. 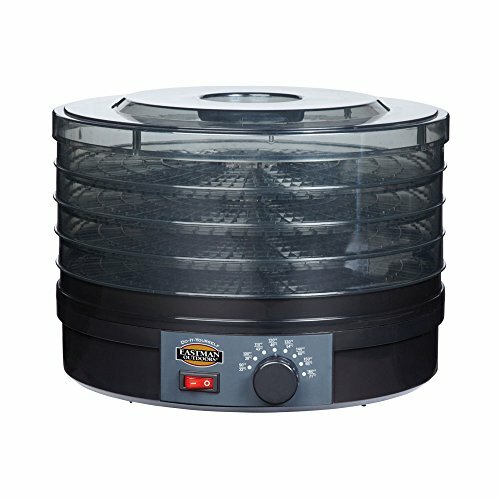 The Food Dehydrator is easy to use and clean having dishwasher safe cover and trays. There is a multi variable thermostat range of 90 to 160 degrees Fahrenheit delivered from the 245 watt heating element. If you have any questions about this product by Eastman Outdoors, contact us by completing and submitting the form below. If you are looking for a specif part number, please include it with your message.